The fall of the Ottoman Empire. 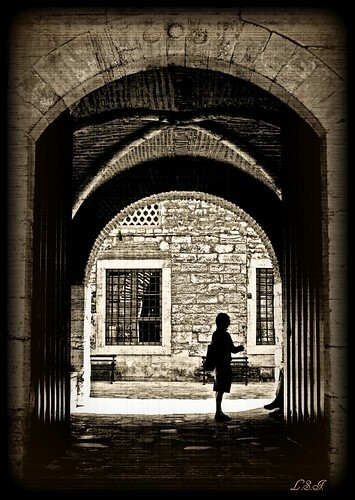 Photo of the Topkapi Palace by Kuzeytac used under a Creative Commons license. David Fromkin, A Peace to End All Peace (Holt Paperbacks, 2001). If you want to understand how the multiethnic Ottoman Empire gave way to the fierce nationalisms of the modern Middle East, there’s no better book . . . . Fromkin tells the story of how, after World War I, the European victors carved up the Ottoman Empire into the countries that exist today. His sprawling history portrays the prewar ferment among the modernizing young Turks, the exploits of Mustapha Kemal — now known as Ataturk — the army officer and revered founder of modern Turkey, the adventures of Lawrence of Arabia and the intrigues of various kingmaking Western Orientalists. Here is Fromkin’s bio at Boston University. Here are reviews and posts from J.R. Moehringer (The New York Times), John C. Campbell (Foreign Affairs), Garret Wilson, Anoop Sarkar, Dana Tucker, Eric Brahm, Zakaria Ajmal, R J Keefe, Sean Lavelle, David Baer, and The Harrisburger. Maryanne Stroud Gabbani doesn’t have a lot to say about the book, but her blog looks quite interesting.